Let's have a look at another new travel retail whisky from Highland Park! Colour: Golden summer barley. A fine oily texture. Nose: Dusty malt and grains. Dried apricots, old vanilla pods and applesauce. Hay from the oven and whiffs of smoke. Grain biscuits with bits of dried apple. With water: Dusty, wood, sawdust and cinnamon. Taste: Very dry and light mouthfeel. Grapefruit and dry peppercorns. Some grassy flavours mixed with biscuit. Makes me think of fino sherry. Resin and bitter tree juice. There's something sweet but it is drowning in bitterness. With water: A bit softer. Citrus, apple, mint, bitter green nuts and fino sherry. Finish: Green lemon-flavoured soap. 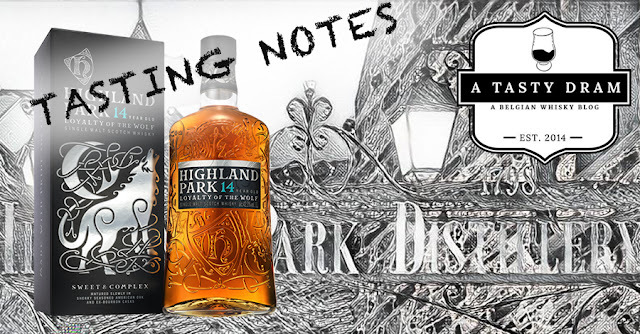 Bone-dry with some grassy and minty notes. 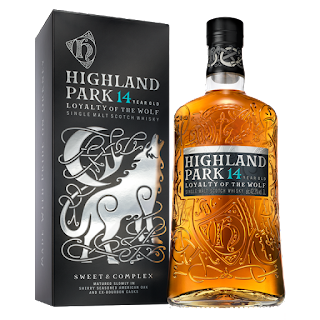 Highland Park The Loyalty of The Wolf isn't my cup of whisky (or tea). I didn't find too much of the sweet & complex flavours. This is a rather harsh and dry dram. I'd pick the NAS Spirit of The Bear above this one.